In the fall of 2018, TCL Chinese Theatre announced plans for Theatre Box, an all-new, state-of-the-art movie theatre complex featuring restaurants, bars, and entertainment, to be located in the Gaslight District in San Diego, California. This luxury cinema creates a completely new experience for guests with eight dine-in theatres, as well as an expansive lobby that houses Sugar Factory, a world-renowned American Brasserie and Chocolate Factory. This hot spot offers delicious foods, unique desserts and sweet-inspired drinks and hosts celebrity appearances including Scott Disick and Pitbull. To fully immerse guests with the new venue, TCL Chinese Theatre sought to create an exciting and inviting environment within Theatre Box, which would include the use of digital signage to wow customers. As a complete rebuild project, TCL Chinese Theatre had the opportunity to design a unique space that would be eye-catching enough to attract customers, even from outside the venue. 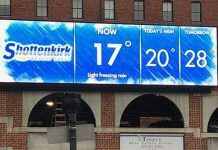 To do this, the company sought to create an enticing video wall display that would provide entertainment and information, such as movie times, trailers, and advertisements. The display would need to be visible from anywhere in the lobby of the venue, as well as through the windows to the street. The selected location was directly above the escalators, as this spot can be seen far and wide. In addition to the video wall display, TCL Chinese Theatre wanted Theatre Box to offer a sleek, sophisticated environment for customers as they walked into each theatre. To meet these requirements, TCL Chinese Theatre decided to seek out a digital signage option that would be representative of the style of Theatre Box. In November 2018, the theatre’s San Diego-based management group reached out to installation company, Fluid Sound, based on its experience in working with high-end theatres and specialization in the design-build process for AV system solutions. Fluid Sound was tasked with the goal of creating custom solutions for Theatre Box that would meet the aggressive grand opening date in a mere four weeks. The idea set forth by TCL Chinese Theatre was to create a video wall comprised of the largest displays possible to be hung on a 45° angle and installed directly over the escalators. While most video walls do not standardly utilize very large displays, Fluid Sound began its search, selecting NEC’s 75-inch Professional Series Displays, based on the brand’s high quality offerings. To stream content, Fluid Sound chose a tvONE® CORIOmaster mini-Modular 4K Multi-Window 1RU Video Processor. With specific design parameters in place, the next step was finding a mounting solution that would support such large displays. Having worked with Peerless-AV® in the past and trusting the quality and durability of the brand, Fluid Sound sought the company’s support for a mounting option. As the only solution on the market that would support the weight capacity of the large displays, provide the flexibility and adjustability needed for this install, and meet the fast-approaching deadline, Fluid Sound chose Peerless-AV’s Special Purpose Video Wall Mount (DS-VWM770). In addition to the video wall, Fluid Sound also sought a mounting solution for the individual displays that would be placed outside of each theatre. 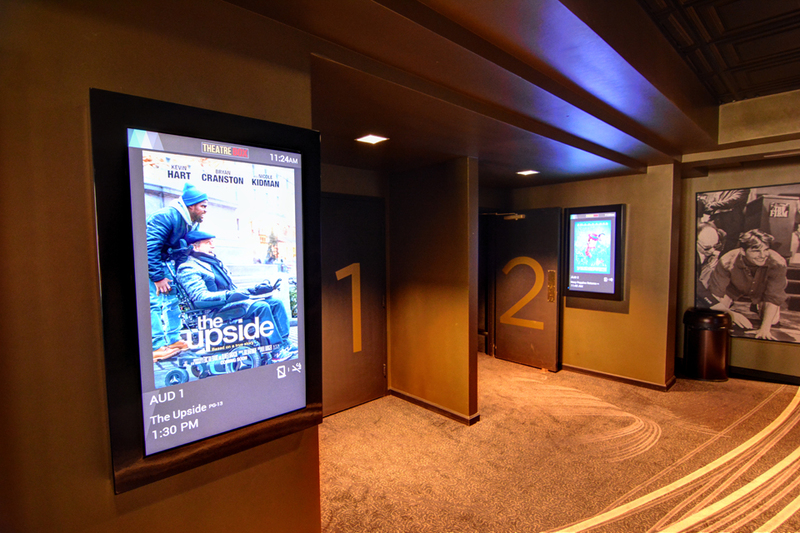 Showcasing the current movie title in the specified theatre, the enclosure around the displays needed to support the luxury appeal of the space. Fluid Sound wanted an enclosure that would not only offer a sleek, high polished look, but would also allow for a secure installation in a high-traffic area of the theatre. With a standard option already available from Peerless-AV, that fit NEC’s 43-inch displays, Fluid Sound selected the Peerless-AV’s Wall Kiosk Enclosure (KIP643). Theatre Box’s installation began right away, with several challenges in place for Fluid Sound. These included the unique video wall display design, the difficult to reach location of the video wall, and a tight timeframe where both the video wall and wall kiosks needed to be installed within a matter of weeks. 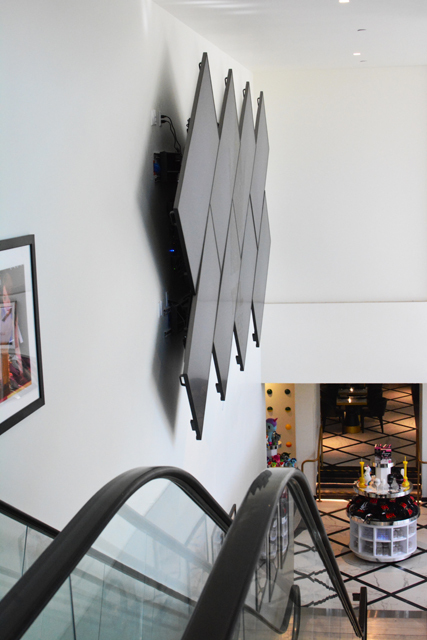 To complete the video wall installation, Fluid Sound relied on lift baskets to reach the area above the escalator. Placing a ladder on the elevator was not only too unsafe, but it also would not reach the wall. In using the selected method, installers had no additional support where another installer could hold up the mounts as the brackets were being affixed to the wall. Featuring a keyhole design and special wall plates, Peerless-AV’s DS-VWM770 was able to hold the weight of the display while being assembled, without the need for additional support. Fluid Sound’s next focus was on the installation of the wall kiosk enclosures at each auditorium. Originally TCL Chinese Theatre wanted to install the screen directly on the wall. However, Fluid Sound suggested a wall kiosk enclosure that would provide safety and offer a finished, polished look. Installation was seamless for Fluid Sound, using Peerless-AV’s Wall Kiosk Enclosure with NEC 43-inch displays. 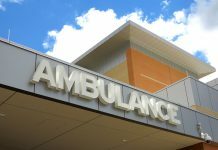 Through the use of reliable solutions, Fluid Sound was able to complete both installations within the allotted time and meet the grand re-opening date. Since the completion, Theatre Box patrons have commented on the beautiful presentation of the video wall, and the theatre has been able to entice many outside visitors with views of the stunning displays. 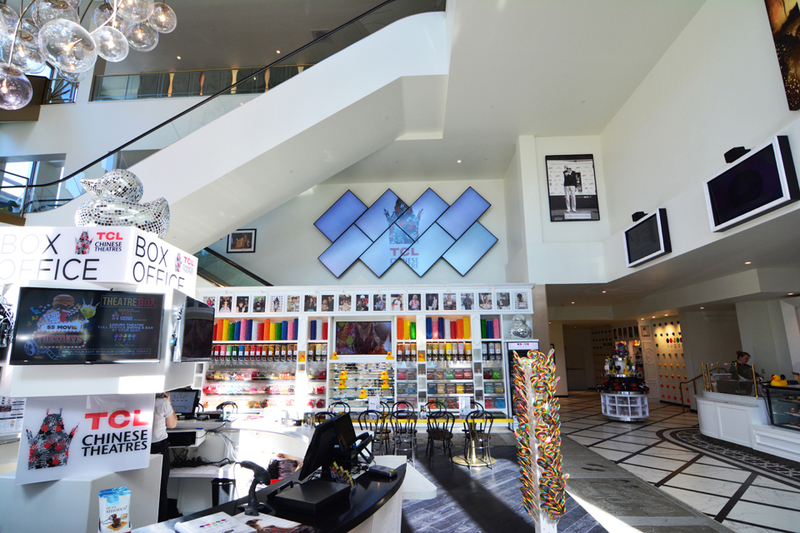 TCL Chinese Theatre was extremely pleased with the final product, acknowledging the luxurious aesthetic created through the digital signage solutions. With a successful project complete, Fluid Sound has continued to recommend Peerless-AV’s solutions because of the quality of the brand’s products and the company’s strong customer service support. Fluid Sound is an AV design build company specializing in the design, installation, integration and servicing of top of the line audio visual systems. From control center to conference room to casino to hotel lobby, the company’s team of audio video specialists have extensive experience and a comprehensive understanding of current audio video technologies and solutions for your business needs. For more information about Fluid Sound, please visit www.fluidsoundav.com. For over seventy-five years, passion and innovation continue to drive Peerless-AV® forward. 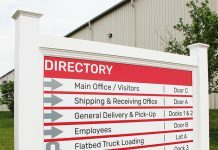 The company proudly designs and manufactures the highest quality products, ranging from outdoor displays to complete kiosk solutions, digital signage mounts to wireless systems. For more information, visit peerless-av.com.